Each year, over 2.7 million pets lose their lives without ever finding their forever homes. Did you know that only 30% of all pets in the US come from rescue facilities? Imagine how many lives could be saved if more pets were adopted. Tomorrow, 9/28 people across the world will shine a light on all orphan pets who are waiting for their forever homes in shelters and rescues for Remember Me Thursday. 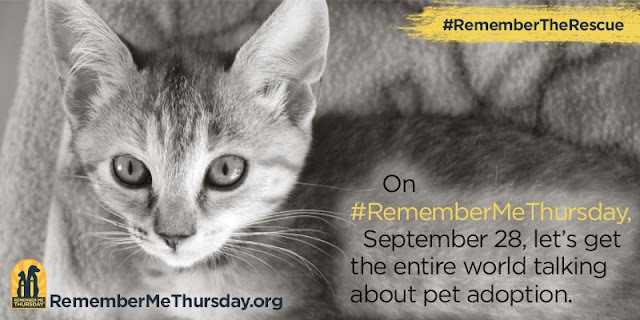 Remember Me Thursday is a global awareness campaign that unites people and pet adoption organizations around the world. Together we are a voice for orphan pets. 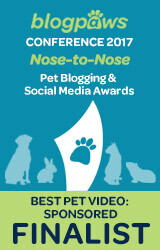 This event was created by Helen Woodward Animal Center. On September 28, 2017, the entire world will share the importance of pet adoption and shine a light on all orphan pets that are waiting for their forever homes in shelters and rescues. Remember Me Thursday has united 180 countries over the past few years. Anyone can join Remember Me Thursday by talking about pet adoption on social media. Just use the hashtag #RememberMeThursday and #RememberTheRescue. Last year in 2016, people using #RememberMeThursday and #RememberTheRescue reached nearly 340 million people on social media. By raising awareness that pet adoption saves lives, we can all help more pets find their forever homes. You can learn more about Remember Me Thursday in the video below. The song in the video is the official song for Remember Me Thursday this year. "This Candle Burns Bright" written and performed by Stevie Woodward is available for download on iTunes. Join the #RememberTheRescue Contest. 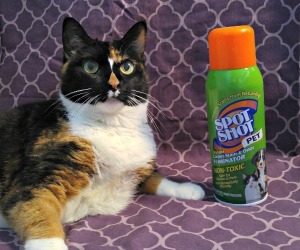 Upload a photo of your awesome rescue pet to shine a light on adoptable pets everywhere. 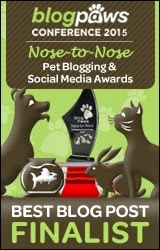 Plus, your entry could win your favorite pet rescue organization life-saving funds and food. You can CLICK HERE to learn more about the #RememberMeThursday contest. Need something to share on social media? Helen Woodward Animal Center has several images with powerful messages on them and they are available in several languages. CLICK HERE to grab an image and share. For a complete list of events that may be happening in your state for Remember Me Thursday, CLICK HERE. 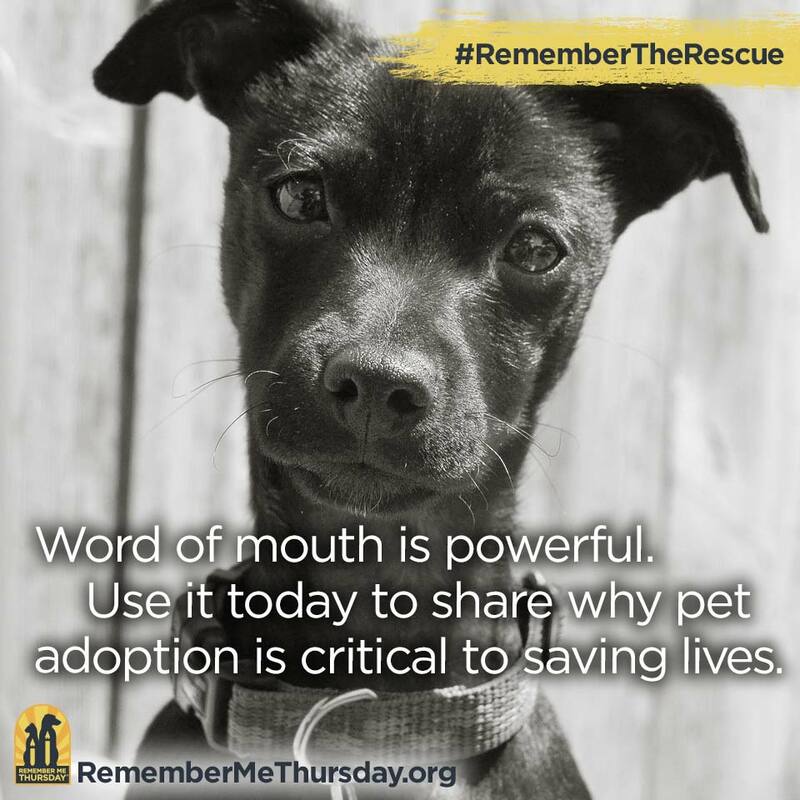 We hope that you'll join us on Remember Me Thursday to #RememberTheRescue and raise awareness that pet adoption saves lives! We will be participating tomorrow. And remembering.